Society of Abidance in Truth | Who Am I? 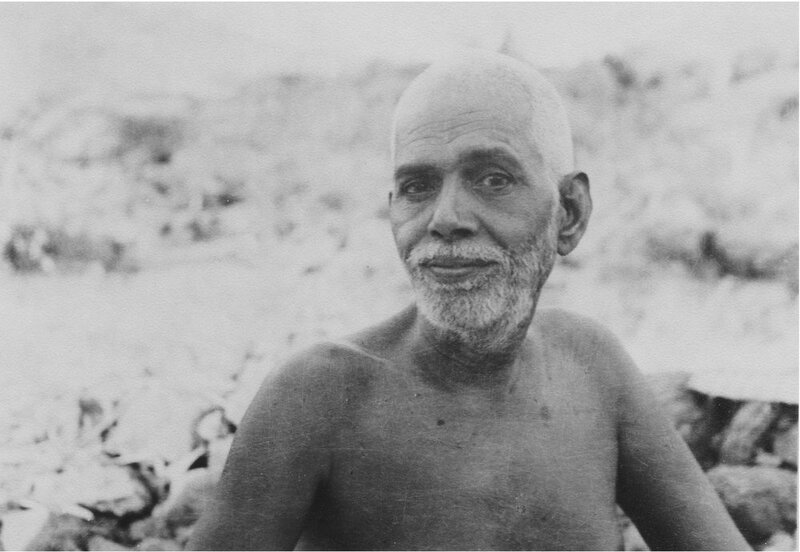 Home » Bhagavan Sri Ramana Maharshi » Sri Ramana Maharshi’s Writings » Who Am I? This quintessential and aphoristic work of Sri Ramana Maharshi spells out the nature of the Self and the practice of Self-inquiry. If in this manner the mind becomes absorbed in the Heart, the ego or ‘I’, which is the center of the multitude of thoughts, finally vanishes and pure Consciousness or Self, which subsists during all the states of the mind, alone remains resplendent. It is this state, where there is not the slightest trace of the ‘I’-thought, that is the true Being of oneself. And that is called Quiescence or Mouna(silence). Regulation of diet, restricting it to satvic food taken in moderate quantity, is of all the rules of conduct the best; and it is most conducive to the development of the satvic qualities of the mind. These, in their turn, assist one in the practice ofAtma vichara or enquiry in quest of the Self. Countless vishaya-vasanas (subtle tendencies of the mind in relation to objects of sense gratification), coming one after the other in quick succession like the waves of the ocean, agitate the mind. Nevertheless, they too subside and finally get destroyed with progressive practice of Atma dhyana or meditation on the Self. Without giving room even to the thought which occurs in the form of doubt, whether it is possible to stay merely as the very Self, whether all thevasanas can be destroyed, one should firmly and unceasingly carry on meditation on the Self. Firm and disciplined inherence in the Atman, without giving the least scope for the rise of any thought other than the deep contemplative thought of the Self, constitutes self-surrender to the Supreme Lord. Let any amount of burden be laid on Him, He will bear it all. It is, in fact, the indefinable power of the Lord that ordains, sustains, and controls everything that happens. Why then should we worry, tormented by vexatious thoughts, saying: ‘Shall we act this way? No, that way,’ instead of meekly but happily submitting to that Power? Knowing that the train carries all the weight, why indeed should we, the passengers traveling in it, carry our small individual articles of luggage on our laps to our great discomfort, instead of putting them aside and sitting at perfect ease?